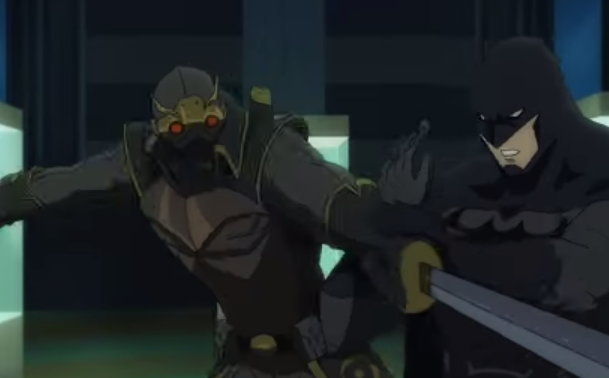 Watch DC All Access for an EXCLUSIVE Clip of "Batman vs. Robin"
DC All Access has a new Talon filled clip from upcoming animated film "Batman vs. Robin!" Plus, a look at the digital first comic slate, and a new giveaway. "Beware the Court of Owls, that watches all the time..." Well, we don't know about the Court, but we're sure going to be watching this episode of DC All Access all the time since it features an exclusive clip from the upcoming "Batman vs. Robin." Plus, a look at the diverse digital first comic slate with Senior Vice President, Editorial Strategy Hank Kanalz, hear from you about your DC Comics pull lists, and give you a chance to win a signed Batman: The Court of Owls Books and Mask Set.